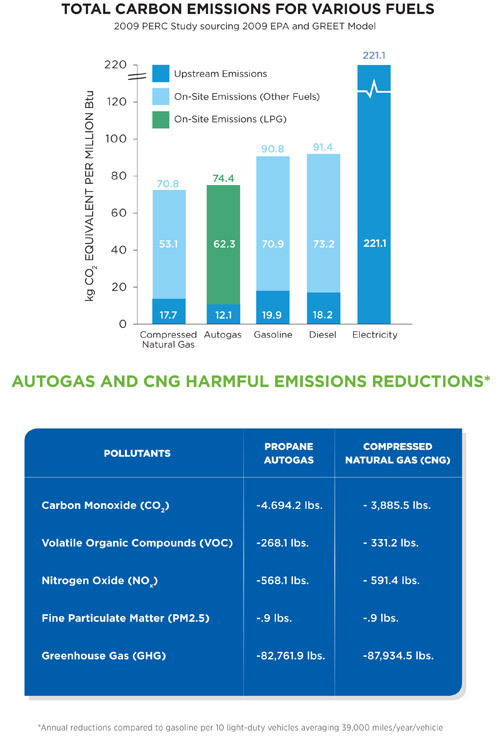 Whether improving the environment is a corporate priority, or you recognize that ‘sustainable’ solutions are on the minds of the American consumer, converting to AutoGas allows your business to contribute to improvements in the transportation sector and to highlight your ‘green’ fleet in brand messaging. 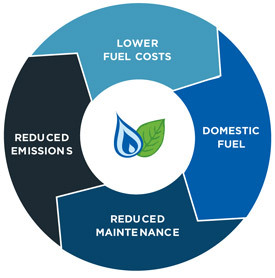 Propane is a cleaner burning fuel than gasoline resulting in reduced vehicle emissions; 16% less carbon dioxide, 28% less carbon monoxide, 35.6% less hydrocarbons and 3.7% less Nox than current gasoline powered vehicles. 98% of AutoGas propane vehicle fuel is produced right here in the United States helping to reduce our country’s dependence on foreign oil.